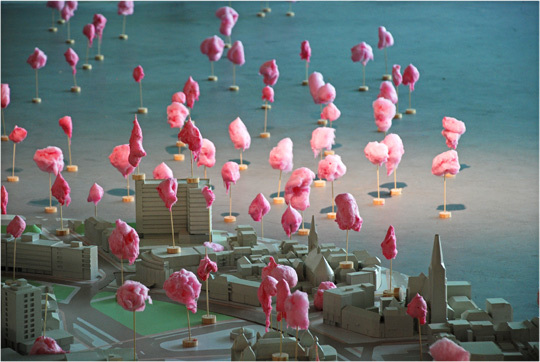 The artist makes the candy floss trees in the galerie . He hands them out to the audience , the public chooses where the trees should be located on and around the model of the city of Arnhem. After 2 hours about 400 trees are planted . After 4 hours the changing of the shape of the floss is clearly visible. The next day the forest is completely crystalised.